Enjoy all the warm weather has to offer in the Dansko Lacee sandals. 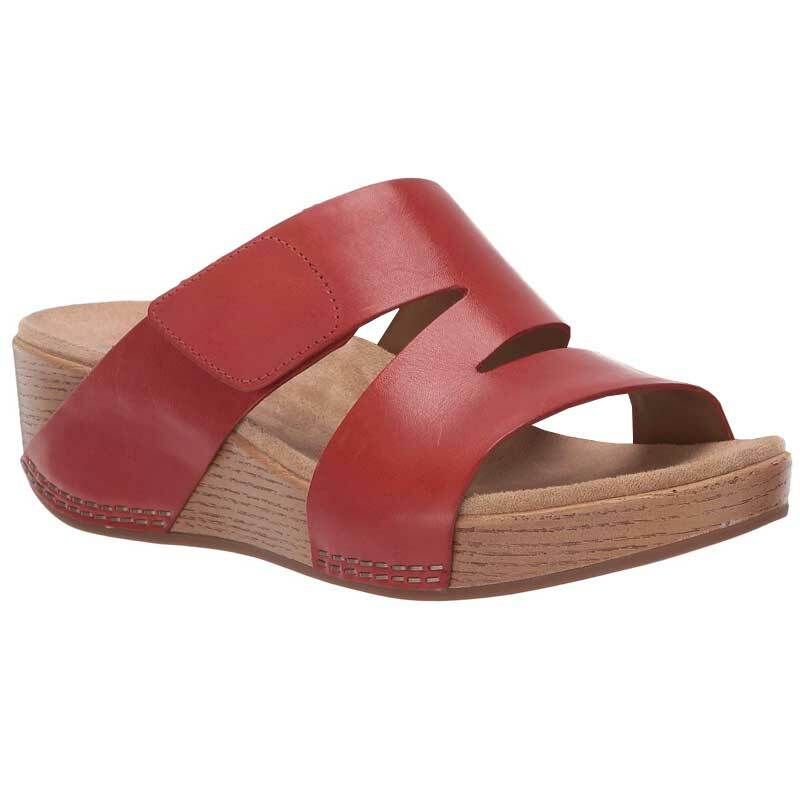 This women's open-toe sandal has a full grain leather upper in a uniquely designed slip-on style. The adjustable strap with hook-and-loop closure ensures a secure and customized fit. Like all Danskos, the Lacee provides excellent arch support and the footbed is leather covered and cushioned for healthy comfort. The TSR midsole helps absorb shock with each step, and the faux-woodgrain platform and wedge helps lighten the weight. The leather lining creates a moisture-wicking, abrasion resistant environment. The rocker bottom outsole helps propel your feet forward in a natural and easy walking motion. Step out in style and comfort thanks to the Dansko Lacee sandals.